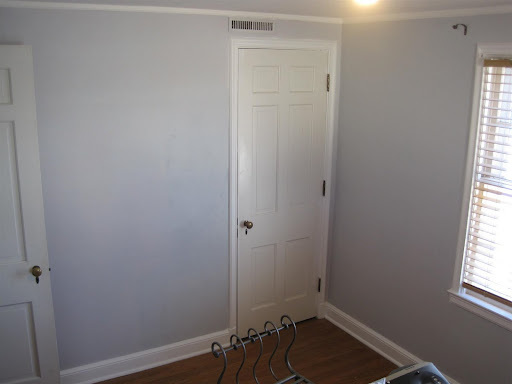 This room is primed for a makeover! 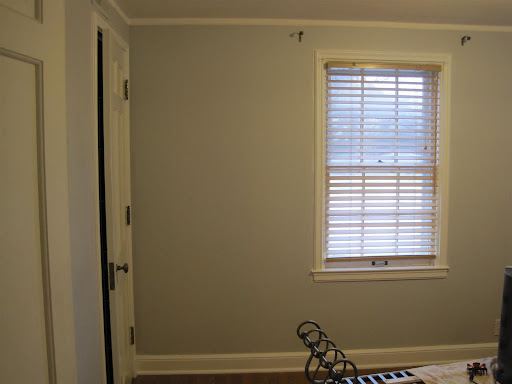 I used a bit of gray primer along with the white, not on purpose, but because I had a 'primer shortage' and had to add in some of the primer we used in our dining room. It looks better already, no? I also put a nice fresh coat of white paint on all the baseboards that already looked fine because I'm a crazy perfectionist. Now I have a nice clean slate to do more paint experiments. Isn't it funny how the same primer looks so different from different angles? Funny, or annoying. One of those two. More annoying, I think. Yeah. 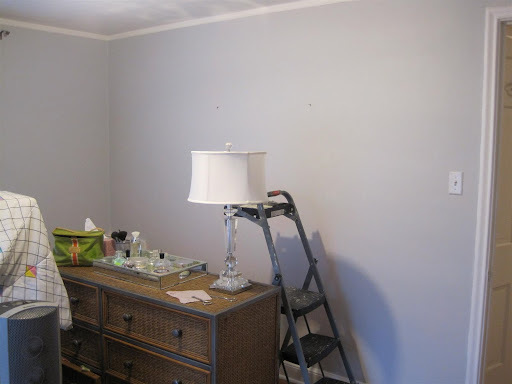 We primed our bedroom and the color I was painting over was so dark it looked like I had sponge painted. It drove me crazy for the entire 24 hours it was visible. I would wonder how the fabric looks with just the primer. Is that lazy? Yeah; it's lazy. Hooray! It's looking great already! I love priming...it gives you a little clarity. I'm loving this primer paint color!! Um, so where do I start? I love that lamp, I love where the room is going and I adore that fabric you picked out! When can I move in? Dang, it's looking better already!